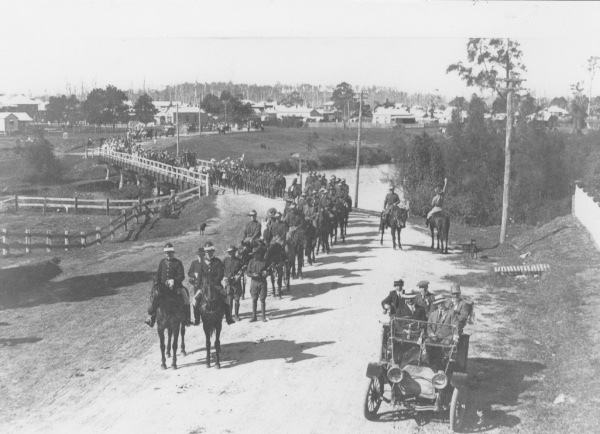 April 1918–a celebration of the ANZAAC centenary. Now let’s pay tribute to fights for freedom elsewhere in the world. Like Finland. My father’s uncle Edvard Back fought in Finland’s Civil War of 1918, including the crucial April weeks-long siege of Tampere. This battle was a turning point in the Civil War, decimating the Reds and killing many Whites. Red Guards had controlled the south, industrial towns like Helsinki and Tampere. They battled to safeguard Russian trains carrying shipments of weapons. Germans saved the Finns by smuggling in weapons on the ship Equity to sheltered bays in Ostrobothnia and training the Jäger troops. During those crucial wars that led to Finland’s freedom, how did his brothers at the other side of the world view the Finland-Russia-German struggle? To Australians the “Huns” were enemies. From safe haven in Australia, Edvard’s brothers Wilhelm Anders (my Grandad) and Karl Johan (“KJ”) Back found themselves on opposing sides. News of the war filtered through, doubtless heavily censored. How did the family reconcile differing allegiances? Blood thirst was rife on both side…The Back brothers came to the right country. They emigrated to escape conscription into the Russian army–a possible five years. Of all nations, Australia was the only country to hold a referendum—twice—that allowed men to choose to fight rather than accept conscription. My grandfather W.A.Back made conspicuous donations to the war effort, second only to the mayor’s. WA raised money by driving people in his new automobile to farewell soldiers—for a fee. For “aliens” were regarded with suspicion, likely to be sent to internment camps. Grandad and other family sent loads of provisions to save Finns and other Europeans from famine. His office was strewn with sacks of flour and sugar, transferred into kilo–size calico bags. He employed a woman full time and grandchildren were enlisted as a Lilliputian army to pack and stack. What if the shipments were pilfered, he was asked. ‘Thieves have to live too,’ W.A. replied. hing books including The Royal Toast. Locals suspected that KJ spied for the Germans, for he tended his bananas on the ridge by lantern light. But what is night to a Finn? 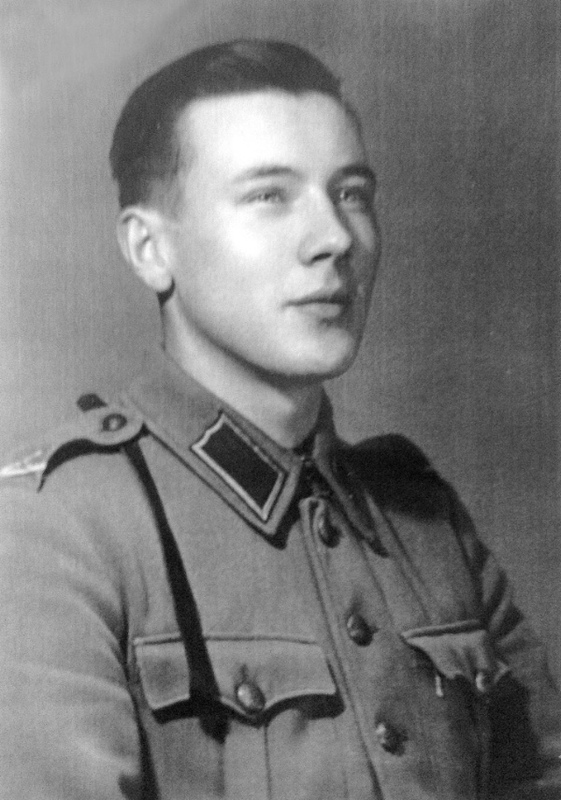 Rolf, Edvard’s son, took 30 patrols over the border into Russia, on skis in camouflage white, during the 1940s Continuation War. Read his self-deprecating but inspiring stories in Midnight Sun to Southern Cross. He SO typified that amazing Finnish spirit of sisu! False Truths propagate too easily. So I wrote last email, citing dates that authors and historians replicate. Let me confess up to my own case study. I printed the date for my breakfast presentation as 6 February instead of 13 February. Tuesday 13 February 2018 | 7.00am for 7.15am to 9.00am Bookings essential. On 17 January 1903, my grandfather Wilhelm Anders (“WA”) Back disembarked from SS Ophir in Sydney. Aged 16, he grasped the opportunities his new land offered. So young! So enterprising. Check sources like Shipping Records! Ophir docked 16 January 1903! I was mortified to realise my books cited an incorrect date, 1902! But on his Application for Certificate of Naturalization Wilhelm Anders Back himself wrote “17 January 1902“. Good one, Grandad! His niece quoted this date in her memoir so it went into my books. I’ll add an Errata. Such pitfalls historians face, to sift truths from myths! Fact check, all we who speak or write. What a month to start 2018! Bonding with two smiling little grandsons and their parents over Australia Day BBQ. We played music together; a son arranged songs for all our family’s instruments. I wondered what songs and heritage stories one might hear from those who became Aussies at Citizenship Ceremonies. Australia is a meld of diverse nationalities, cultures, languages, histories. First Australians sing Songlines as they walk, connecting to Dreaming Stories of the land they cross. Indigenous leaders Noel Pearson and Warren Mundine are better able than myself to comment about the 26 January focus on Sydney Cove. Port Jackson, not Port Hedland as reported by Greens Senator Rachel Siewert. Motto: FACT CHECK! Let’s focus instead on those who disembarked there in subsequent centuries. • What propelled them to emigrate? • Many sought refuge from oppression–as did migrant-made-good Grandad. He avoided conscription into the Russian army. On 17 January 1903, 115 years ago, my Grandad Wilhelm Anders (“WA”) Back disembarked from SS Ophir in Sydney. He was reunited with his brother Karl Johan later that month. Aged 16, he grasped the opportunities his new land offered. So young, enterprising. But WAIT. Ophir docked on 16 January 1903. Ouch. I was mortified to realise my books cited an incorrect date. But on his Application for Certificate of Naturalization Wilhelm Anders Back himself wrote 17 January 1902. His niece quoted this date in her memoir so I supposed it valid. An Errata will rectify. The pitfalls historians face, to sift truths from myths! Relatives note that their own children –and mine–resemble young Grandad. In the first photo ca.1890 he’s front left. Ten years later, at back left, he’s keen to take on the world. Since living and working in foreign countries, I sympathise with the communication stumbles emigrants face. My recent books focus on the getting of language, citing challenges Grandad and his brother Karl Johan faced to learn English. During seven years in Europe, I knew that to speak risked blunders. I must overcome inhibition and shyness. In Midnight Sun to Southern Cross, I share my journeys of discovery–of heritage, of self and of voice. Ruth has presented in Scandinavia, the USA, UK and across Australia and New Zealand. Her techniques for confident presentation are encapsulated in her book Speak Out – Don’t Freak Out, and her recent heritage memoir Burn My Letters was shortlisted and won the Omega Writers CALEB nonfiction prize. Email Ruth to enquire about training and coaching. Independence Centenary of Finnish heroism! Finland–and Finns globally–celebrate today, 6 December! My Grandad’s brother Edvard fought in the Civil War, and his son Rolf in the 1940s to win freedom from Russian overlords. This typical Finnish tenacity has been described as digging through a cement wall with a spoon, but you keep going. Since exploring my heritage I feel awed by the Finns’ tenacity to wrest freedom from Russian overlords, in true David vs. Goliath fashion. Victory owed much to Commander-in-Chief Mannerheim’s deployment of Jaeger regiments trained in Germany and armed with German weapons. During those crucial wars that led to Finland’s freedom (Civil War, Winter War and Continuation War) how did brothers at the other side of the world view the Finland-Russia-German struggle? Edvard’s brothers Karl Johan Back and Wilhelm Anders Back viewed “The Hun” as their foe. They emigrated to escape conscription into the Russian army. In their land of refuge, Australians rejected conscription in two referenda. My grandfather W.A.Back made conspicuous donations to the war effort, second only to the mayor’s. WA raised money by driving people in his new automobile to farewell soldiers—for a fee. He and other family sent loads of provisions to aid Finns and other Europeans . The pacifist dissenter brother Karl Johan protested his patriotism by writing two books A Consolidated History of Australia and The Royal Toast. Locals suspected that KJ spied for the Germans, for he tended his bananas on the ridge by lantern light. But what is night to a Finn? The sequel Midnight Sun to Southern Cross shares a family view of Finland’s history, more personal memoir and heritage discoveries. 5-star reviews at Goodreads.com and Amazon. Let’s celebrate with the Finns on 6 December! Most authors traverse potholes on their paths to print. At Omega Writers‘ Sydney Conference Awards Night, Burn My Letters was announced winner of the CALEB Nonfiction prize. Its hero, Karl Johan Back, knew REJECTION. CENSORSHIP. In 1899, the year “KJ” fled Finland, the Russian regime Board of Censors shut down four newspapers, and seven in 1900. KJ self-published two books from his safe haven overlooking Byron Bay. In 1920, he tried to present a Morocco-bound copy of The Royal Toast to the visiting Prince of Wales, hoping for patronage. One noted that KJ was no Tennyson and advised against printing further books. Ouch! KJ plays the Facebook PR game! His Facebook page channels through his great-niece author, Ruth. OK, he died in 1962–that’s magical realism! from our webstore until 25 December! 5-star reviews on Goodreads and Amazon. Download eBooks there. On 6 December, Finland celebrates its Centenary of Independence from Russian overlords. KJ’s brother Edvard fought in the Civil War, and nephew Rolf in the 1040s Continuation War, on ski patrols over the border into Russia (read more in Midnight Sun to Southern Cross). Perhaps KJ’s earlier “pen fighting” contributed in some way? In Iceland, books are exchanged as Christmas Eve presents, to be read through the night while eating chocolates. This tradition is part of a season called Jolabokarflod or Christmas Book Flood. That’s a great idea for a blessed Christmas and rejuvenating rest. What more precious gift to relatives and future generations than to write a family history or memoir? Do it now, before stories and insights are lost to dementia and coffins. EVERTON HILLS, Brisbane 21 September 7–8.30pm Between the Lines Book Club – Hills Church 79 Queens Rd Everton Hills All welcome. CORINDA Library, Tuesday 26 September 10.30–11.30. Bookings: 3407 7701. Consider: for whom do you write? Will you circulate amongst family some copies produced at the local print shop? Or might your stories resonate with Everyman and Everywoman? That challenging option, with good marketing and distribution, can reach more readers. If so, one writes with relatives peering over the shoulder, while wondering what flak the finished book might draw. They caution: “Change the names, write a novel, and avoid offence.” Kate Grenville took this sensible option with The Secret River. My attempts to novelise felt stilted. Why waste my treasure trove of archival letters and diminish a great story? Let the characters speak for themselves. Narrative nonfiction morphed into memoir as I discovered and interpreted stories. Accepting my role as storyteller unlocked the cage to write more freely. Others might write different books, equally valid. Some families draft ancestors into pens of white and black sheep, with little variegation between. What demons drove the reprobate to that more interesting story? Perhaps perspectives were slanted against him or her? My research validated a black sheep dismissed by my family yet appreciated by those at the other end of the world–who understood what propelled his actions. Avoiding all conflict makes for dull reading and robs readers of the opportunities to learn from generational patterns. What family tree doesn’t sprout illegitimate twigs? Recent generations shrug but Great Aunt Flossie has concealed scandals with hushed euphemisms for her 90 years. She threatens legal action if her family name is besmirched. Living relatives cannot sue on behalf of “defamed” deceased. The defamation twins are libel (written words) and slander (spoken) false or malicious statements that damage someone’s reputation. Avoid pitfalls with nonjudgmental, factual reporting. If you choose narrative nonfiction, cover yourself with upfront disclaimers: “This is my interpretation…” and intersperse “I imagine that…” and “perhaps…” throughout. Endnotes can delineate fact from elaboration and acknowledge sources. Clamp your mouth on time-wasting justifications. Contradictions are inevitable when sifting truths from myths of oral history. Relatives view my many-faceted Grandfather from varied kaleidoscope angles to mine. This is the paradox of history; the events of World War 1 written by people from Germany, France, England or Australia would differ, even contradict in parts. Then, my emigre grandfather viewed “The Hun” as foe; back home in Finland, his brother fought in the Civil War backed by German training and weapons. Relatives who share letters, documents, information and memories may envisage the book they would write and recoil if your version departs from their preconceptions. My preferred style is life writing, to look under the surface of dates, events and facts and find the persons beneath. What drove two brothers to flee their native Finland to settle at the far end of the earth? Did they struggle, away from the security of the nest? Of course. After a decade of research, countless drafts and edits, Burn My Letters and its sequel Midnight Sun to Southern Cross face the world–to positive reviews. Available on Amazon (hard copy and eBook). Order autographed copies with Paypal at the web store. We throw everything into meeting that goal, whether a words or music performance, a publication or a submission. We’re powered by adrenalin, propped up by caffeine, alcohol or whatever. We must plan ahead to circumvent potential adrenal fatigue–as I did, in the last week before my launch of Midnight Sun to Southern Cross on 23 April. The launch was a buzz, including a short recital using the St Lucia Uniting Church organ that my Finnish grandfather W.A. Back donated in 1954. Finnish oboist Emily Salonen played The Swan of Tuonela by Sibelius. The Finn Choir sang a moving Finlandia. Sound and video footage of central characters were played. Guests enjoyed delicious Finnish Pulla and Lihapiirakka baked by chef Bianca Kasurinen, who worked with Jamie Oliver and in NY restaurants. “A fascinating story of lives disrupted by wars; of those who sought their fortune in foreign lands, and those who were left behind.”–Annika Wiklund-Engblom, PhD. Third generation of those who stayed and always wondered. In the tradition of great family migration stories, Midnight Sun to Southern Cross continues the saga of the Back brothers’ flight from Russian-occupied Finland to Australia as the nineteenth century turned into the twentieth. From frozen Finland to the lush rainforests of northern New South Wales, to the dry and dusty sheep country of western Queensland, you follow the highs and lows of their new life under the Southern Cross. It is an extraordinary tale of success, failure, hard work and dreaming. What drove the wheeler-dealer Wilhelm Anders Back, known as WA, to become in his time Australia’s richest Finn? And what stirred his eccentric writerly elder brother Karl Johan, KJ, pacifist and political dissenter? What of those who stayed behind in Finland, and bravely struggled to oust the Russians from their homeland? This book, and its predecessor, Burn My Letters, are timely in the centenary year of Finnish Independence. WA’s granddaughter Ruth contrasts his and KJ’s formative years in Finland with her own upbringing in outback Queensland. Her voyage of discovery and self-discovery uncovers research in Finland and Australia, and interweaves her own transformation from shy bush girl to speaker and musician. In the tradition of great family migration stories, Midnight Sun to Southern Cross continues the saga of the Back brothers’ flight from Russian-occupied Finland to Australia as the nineteenth century turned into the twentieth. It is an extraordinary tale of success, failure, hard work and dreaming. What drove the wheeler-dealer Wilhelm Anders Back, known as WA, to become in his time Australia’s richest Finn? And what stirred his eccentric writerly elder brother Karl Johan, KJ, pacifist and political dissenter? What of those who stayed behind in Finland, and bravely struggled to oust the Russians from their homeland? This book, and its predecessor, Burn My Letters, are timely in the centenary year of Finnish Independence. Hear more about the saga. How can we plan to prevent adrenal fatigue? Eat regular meals, especially a solid breakfast, or “graze” on healthy snacks every few hours to maintain blood sugar levels. Consult with your doctor, naturopath or nutritionist in case certain supplements may boost your energy. Unwind in a warm bath with your mix of essential oils, bubbles and Epsom Salt (Magnesium Sulfate). Schedule some ‘Me’ time each week and enough sleep. That big event goes well. Relief (but you worked hard, didn’t you?) You read a chapter of a light book. Exhausted, sleep evades. Wriggly overcharge. Mind buzzes. Restless, aching legs. Thinks: I need shoulder stands, stretching exercises. A cobra or two, the ‘tranquility pose.’ Nah, too tired to get up. Maybe if I just lift my legs in bed, that’ll do. Maybe not. So then I crawl out from the blankets, stretch, ‘lift the mountain’ with my arms. Touch my toes. Elevate my legs. Muscles creak gratefully. Breathe. Sleep. Think of all the words we read, speak and write in a week, a year, a lifetime. What might encapsulate your output, by which people remember you? Politicians know a word, phrase or speech that can fast track their career. Or batter it (as in “things that batter” from Alexander Downer). Remember these? “I have a dream…” Revisit Martin Luther King Jnr.’s words in light of recent world events. Do your words speak vision – or derision? Freedom of speech is much debated at present. It’s allied with freedom of religion, seen through a kaleidoscope. Political perspectives and stances are volatile. We reel from the terrorist attack on tolerant Sweden, which welcomed so many refugees. What of regimes where words are censored? “Midnight Sun to Southern Cross” tells much of Finland’s struggle for Independence, whose centenary is celebrated this year. Dr Bill Glasson, AO, who shares similar heritage, will launch the book at St Lucia Uniting Church, Brisbane. A recital of Finnish music will use the organ that my grandfather W.A. Back donated in 1954. Finnish oboist Emily Salonen plays The Swan of Tuonela by Sibelius on cor anglais. Hear relevant passages from the book and footage of voices from the past. It’s a free event and all welcome, but do let me know for space and catering. Afternoon tea will be catered by Finnish chef Bianca Kasurinen, who worked with Jamie Oliver. So please RSVP by reply email, or (61)411782404. Autographed copies are available at the launch, or pre-order copies online. Cheques can be mailed to PO Box 422, The Gap, Qld 4061 Australia. Or email for direct banking details. Like its predecessor, Burn My Letters, this second book of the saga, Midnight Sun to Southern Cross will be available as eBook (Kobo, Amazon, Book Depository). In the tradition of great family migration stories, Midnight Sun to Southern Crosscontinues the saga of the Back brothers’ flight from Russian-occupied Finland to Australia as the nineteenth century turned into the twentieth. From frozen Finland to the lush rainforests of northern New South Wales, to the dry and dusty sheep country of western Queensland, you follow the highs and lows of their new life under the Southern Cross. It is an extraordinary tale of success, failure, hard work and dreaming. What drove the wheeler-dealer Wilhelm Anders Back, known as WA, to became in his time Australia’s richest Finn? And what stirred his eccentric writerly elder brother Karl Johan, KJ, pacifist and political dissenter? What sustained those who stayed behind in Finland, as they bravely struggled to oust the Russians from their homeland? This book, and its predecessor, Burn My Letters, are timely in the centenary year of Finnish Independence. Ruth Bonetti, WA’s granddaughter, also contrasts his and Karl Johan’s formative years in Finland with her own upbringing in outback Queensland. For her, it is a voyage of discovery and self-discovery as she tells of her extensive search in Finland and Australia for the broad Back family history and weaves the story of her own life from shy bush girl to musician and writer, wife and mother. PS. To attend the launch, bookings (email, Facebook or phone) are essential. Socks, jocks or books for Christmas? Each Christmas, my dear departed mother gave shirts to the men in her life. Mine know they’ll receive books for the coming holidays. At writers festivals, I choose likely books, queue up for authors’ autographs. Don’t people love that personalised touch? Some of these gifts become dog-eared, I confess. Because, er, I do check that the books and recipients are matched. Recycling helps save the planet. That’s one excuse. Also, I buy many books written by writing buddies and colleagues. And help them by posting reviews on Goodreads.com – an addictive site where one can check out readers’ reviews of books before deciding whether to buy or borrow. Reviews are pure gold to authors hoping to be noticed amidst millions of competing titles. Especially as Indie publishers don’t have advertising budgets of the big imprints. Order on Amazon, as hardcopy and eBook. For autographed copies order here. There, buy Book 2 of the series at pre-publication special price. Or send cheques to Words and Music, PO Box 422 The Gap Qld 4061 Australia. It marks the centenary of the Russian Revolution, which spread to Finland and on to Finnish Independence. Book 2 moves between Australia and Finland to contrast Granddad’s formative years in Europe and my own upbringing in outback Queensland and in St Lucia, the iconic Brisbane suburb he developed. And of my own studies at that same university, after the culture shock of Ironside State School – a big stretch from correspondence school – and then Somerville House. 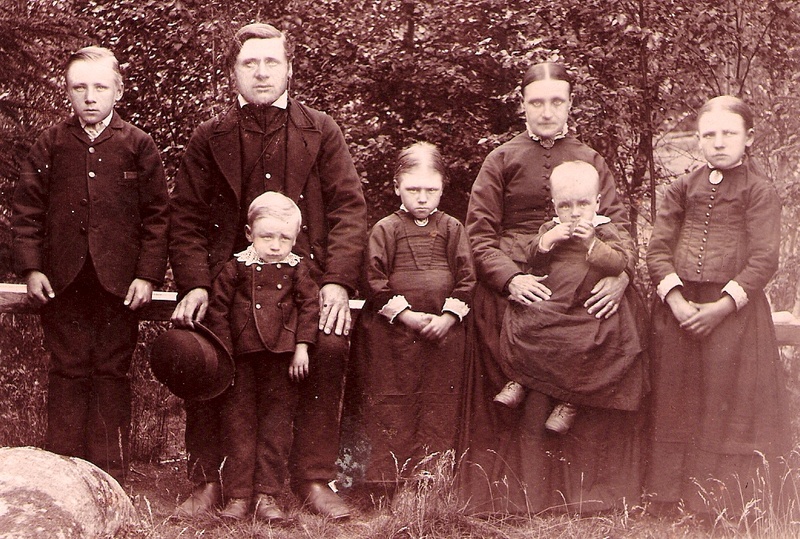 Granddad’s story is bookended by ‘Those who go, those who stay.’ In 1920, Sister Anna Sanna (Ny)Holm joined her brothers, the first complete Finnish family to emigrate to Australia. What better Christmas holiday than to relax with a book?